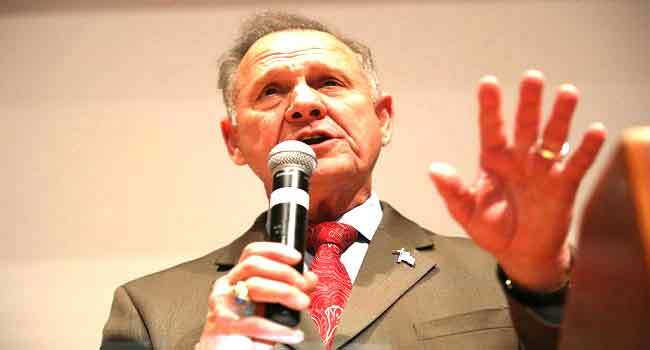 Defeated US Senate candidate Roy Moore has filed a last-minute legal challenge to his stunning loss at the hands of Democrat Doug Jones in a special election held in the right-leaning state of Alabama earlier this month. Christian conservative Moore, a former judge who failed to overcome damaging accusations of sexual misconduct including molesting a teenaged girl, submitted his complaint a day before state officials are due to certify the result, according to his campaign. Jones won 49.9 percent of the vote compared to Moore’s 48.4 percent, a margin of nearly 21,000 votes out of 1.3 million cast. The result dealt a stinging blow to President Donald Trump who had given Moore his full-throated support and narrowed his party’s control of the legislature’s upper house to 51-49. But Moore’s campaign on Wednesday alleged it may have been rigged. “The purpose of the complaint is to preserve evidence of potential election fraud and to postpone the certification of Alabama’s Special Election by Secretary of State John Merrill until a thorough investigation of potential election fraud, that improperly altered the outcome of this election,” the statement said. It cited “irregularities in 20 precincts” of the state’s Jefferson County which it said were “enough to reverse the outcome of the election,” quoting the views of conspiracy theorist Richard Charnin who claims the 2004 presidential election and 2016 Democratic primary were also rigged. 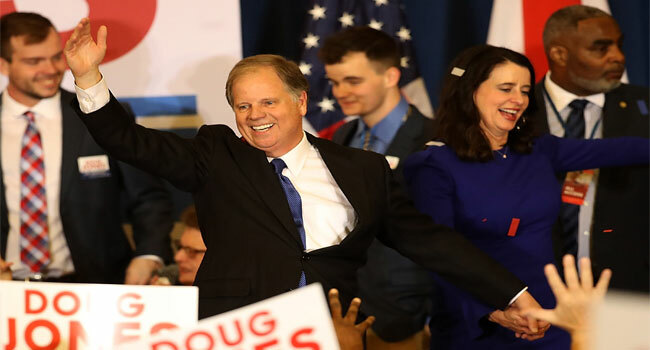 If Alabama officials do not order a recount, Jones is expected to be seated in the US Senate in early January. Moore, who has suggested the 9/11 attacks may have happened because of a lack of faith in God and argued Muslims should be barred from holding office, had wanted to bring his fiery brand of Christian religious activism to Washington. He was set to cruise to victory until allegations by several women — first reported by the Washington Post — that he assaulted, molested or pursued them when they were teenagers, including sexually touching one who was 14 years old at the time.